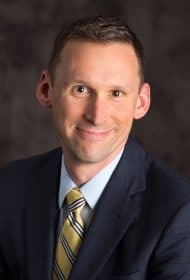 In a previous Energy Insights post, Jim Wolf discussed the impact of $40 oil prices on early 2015 compensation decisions. At the time, energy companies speculated whether we’d see a “V”-shaped or “U”-shaped recovery. After a volatile summer – doubts about China’s growth, Iran’s pending oil output, limited production declines – US energy companies now seem resigned for oil prices to remain “lower for longer”. Salaries: Many E&P and services companies have implemented salary freezes. Companies may need to continue those into next year although targeted individual increases may occur. 2015 Bonus Payouts: Companies will manage bonus outcomes based on individual company considerations. There will definitely be some zero bonuses, particularly at the executive level, but companies will likely need to balance appropriately rewarding this year’s achievements against goals while recognizing the current environment of austerity. 2016 Bonus Programs: Some companies approached 2015 with the approach that “budgeted” performance would earn a bonus less than target. It’s uncertain whether more companies will try that approach in 2016 or whether individual bonus opportunities might even come down. As earnings/cash flow expectations decline, companies may have to limit cash bonus compensation. Additionally, companies that may have been more focused on volume or growth metrics (e.g., production at E&P companies) may instead switch to margins or returns metrics in this environment. Cost Reductions: How do proposed LTI grants align with expectations around managing or lowering costs? Shareholder Alignment: Are the performance elements in our LTI plan sufficiently aligning executives with shareholders or should grant values be impacted? Managing Share Usage: Do grants at the proposed levels impact the depletion rate of our share pool or result in excessive burn rates? Use of Benchmark Data: Recent proxy disclosures reflect 2014 compensation actions that are largely irrelevant. Survey data and other more current data sources generally reflect late 2014 or early 2015 decisions, when most companies expected a quicker recovery. 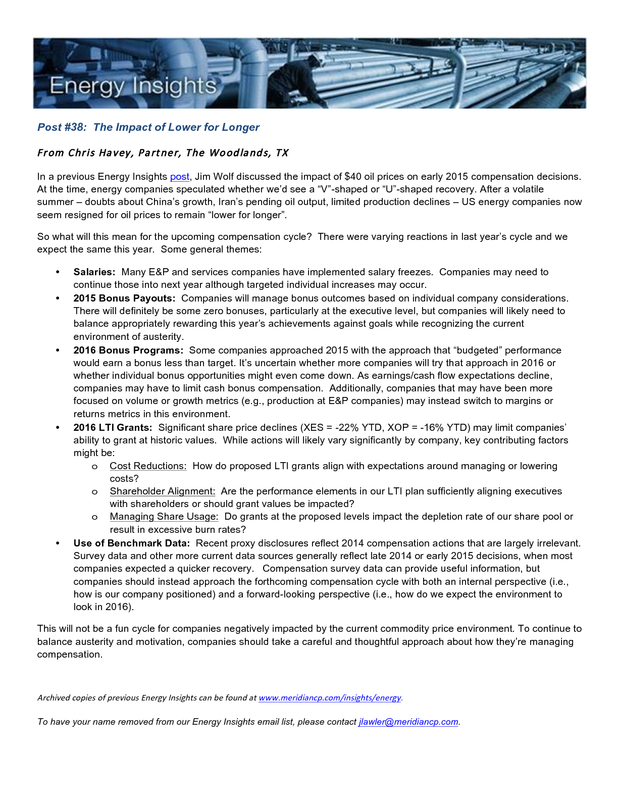 Compensation survey data can provide useful information, but companies should instead approach the forthcoming compensation cycle with both an internal perspective (i.e., how is our company positioned) and a forward-looking perspective (i.e., how do we expect the environment to look in 2016). This will not be a fun cycle for companies negatively impacted by the current commodity price environment. To continue to balance austerity and motivation, companies should take a careful and thoughtful approach about how they’re managing compensation.